You are currently browsing the The Pet Product Guru blog archives for August, 2014. 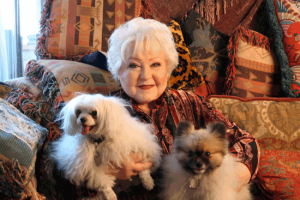 When seniors have pets, they often share a very powerful emotional bond. That’s why a senior may need a lot of emotional support after a beloved pet dies. You can help by encouraging them to talk about their pet and what it meant to them. Give them time to grieve openly. You may also wonder if it’s a good time to replace the pet. 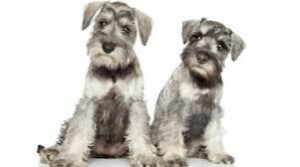 Jane Shaw, director of the Argos Institute at Colorado State University says that some people want a new pet fairly quickly to re-establish an important routine. Others may need time to adjust. So ask your friend or relative what they would prefer. If he or she needs more support than you or other friends can offer, suggest a grief counselor or a pet lose support hotline. It’s very difficult for anyone when a beloved pet dies. It’s even difficult to look at their belongings like their dog or cat bed, their dishes, leashes etc. When my rabbit passed away, it took me five months to get rid of her cage. Grieving is an important step in the healing process and make sure that you allow time to grieve. Six great stations with great music. Listen to THE EDGEWATER INTERNET RADIO NETWORK. You may wonder why your cat is always cleaning himself. The fact is that within a 24 hour period, your cat will spend 1/3 of his time grooming himself and this is perfectly normal. When cats are not sleeping or grooming themselves, they are thinking about eating. (I’m always thinking about eating!) The rest of your cats time is spent under comfy blankets, playing with toys or occasionally racing around the house for no particular reason. 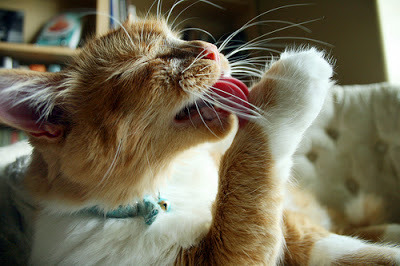 There are some instances when a cat grooms himself all the time because of a medical condition or even due to stress. If all he does is groom himself, it’s always a good idea to have a vet check him out. How about some great dance music today? Check out Dance Fever 54 for all of your dance and disco classics. It can be found on THE EDGEWATER INTERNET RADIO NETWORK! You’ve just adopted a cute kitten, now you must make sure that he is healthy. Here are some things for you to look for. Make sure that he has a good appetite. There is something wrong if he doesn’t eat within 24 hours. 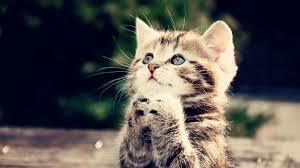 A healthy cat’s eyes should be sharp, bright and clear, without any teary discharge or soreness. Although some breeds, like Persians, are prone to eye discharge, you should always seek advice from a vet to ensure everything is okay. If your pet’s eyes look inflamed, “gooey,” or they are constantly pawing and rubbing at them, you should take it to the vet. Cats are groomers and their coats should reflect this. They should be soft and shiny without any clumps. A healthy cat’s gums should be a pale pink colour, and the teeth should be clean and the breath normal – a particularly strong odor could indicate digestive problems, gingivitis or a bad tooth, and should be properly investigated by a vet. Tartar can also build up on cats’ teeth, particularly as they get older, which is why their teeth should be brushed three times a week. See your vet for details on how to do this. The oldies are playing as we wrap up summer this Labor Day weekend on EDGEWATER RADIO. Don’s like oldies, then check out five other great internet radio stations on THE EDGEWATER INTERNET RADIO NETWORK! 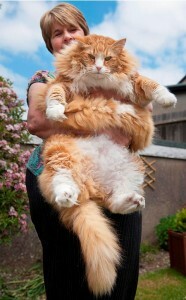 The Worlds Largest Domestic Cat….Over Eating Will Cause this Problem! Some dogs actually prey on cats and will hurt them if they decide to attack. A cats size is usually the issue but what if the opposite were true? There are large domestic cats but Ulric, a Norwegian Forest cat weighs a whopping 30 pounds and is twice the size of an average domestic cat. He hit 17 pounds by the time he was 15 months old. His only problem is that he loves to eat. His owner is Jan Mitchell of Dorchester, UK. She also has another cat and if Ulric did not have enough to eat, he wonders over to his sisters bowl and continues his meal. In order to get him in shape, Jan has enrolled him in a fitness program. Lets hope it works! She also exercises him by putting him on a leash. Ulric is now on a strict diet and exercise program. Make sure that you give your cat the proper portions. If you have a second cat, try feeding both of them separately. Place their bowls in different areas of the house and monitor the situation closely. If you love country music, you’ll love CONSTANT COUNTRY KRS, it can be found on THE EDGEWATER INTERNET RADIO NETWORK! Is your dog losing weight, almost like he’s on a diet? You’ll need to take him to the veterinarian. There are a variety of possible reasons for weight loss. Diet, parasites, diabetes, cancer and heart disease are some causes just to name a few. To make a diagnosis, your veterinarian will ask you about other symptoms such as diarrhea and vomiting. 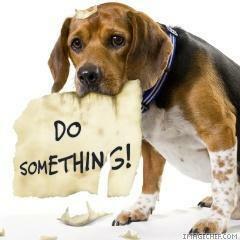 Take note of any changes in your dogs behavior. You may want to consider bringing a stool sample to your veterinarian. The veterinarian will examine your dog and run a series of tests such as x rays, blood tests or a urine analysis. Then he will make an official diagnosis. Some diet changes and pet medication is all you may need. Before deciding whether or not to get a pure breed dog or adopt a mixed breed from a shelter you really have to ask yourself these questions. 1. Pure breeds are expensive. Are you willing to pay hundreds of dollars for a dog of adopt one from a shelter? 2. Have you done your research? 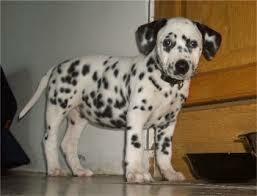 Do you know the characteristics that you want in a dog? 3. Do you know and are willing to accept behavior traits of the breed? Some breeds will howl, dig or preform other annoying acts. 4. Some pure breeds have genetic health problems. Are you willing to accept this? 5. Did you get your dog from someone who does all the right things to produce good-tempered, healthy family pets? Ask yourself these questions, do your research and I’m sure that you will make the right decision. Summer is coming to an end, wind it down with great music on THE EDGEWATER INTERNET RADIO NETWORK! What Kind Of Music Do Dogs Like? Music is a big part of most of our lives and our dogs also enjoy music although it might not be the type of music that you think. Research conducted by Deborah Wells, an animal behaviorist, seems to confirm the fact that our dogs do like to listen to music. The study finds that certain types of classical music is relaxing and quieting to dogs. 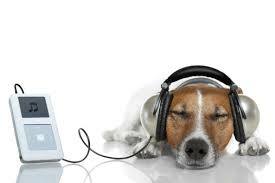 They are not interested in radio shows of pop music but our furry friends have their music preferences just as we do. In addition, the researchers of The Animal Science found that playing classical music with a ambient sounds like human conversation, dog barking, and birds chirping incorporated in the melody is considered to be one of the most effective tunes to relax to our pets. Humans also love music so check out the variety of music on six great stations on THE EDGEWATER INTERNET RADIO NETWORK! 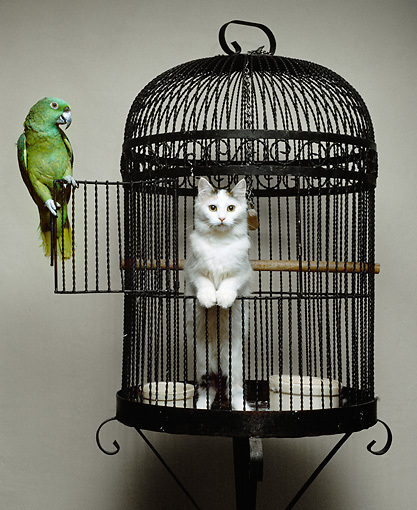 Can a Cat and Bird Live Together? Millie loves to look at birds. When she sees them, she jumps and runs back and forth as if she wanted to catch something . So, can birds and cats live together in the same house? The answer is “yes” if you take the proper precautions. If your cat shows an interest in hunting your bird (which no doubt, he or she will at some point) spritz the cat with water. Most of the time, this will be enough to curb your cats predatory behavior after awhile. Birds are able to catch certain diseases from cats and direct contact to your cats fur through biting can increase the likelihood that your bird will catch something. Always try to avoid physical contact between your bird and cat. With consistent training the two should get along and not harm each other. Give your kitty lots of exercise by playing with her cat toys. This way she will not want to play with your bird! Great radio stations on the Edgewater Internet Radio Network...try these out! Dance Fever 54 – disco and dance all the time.